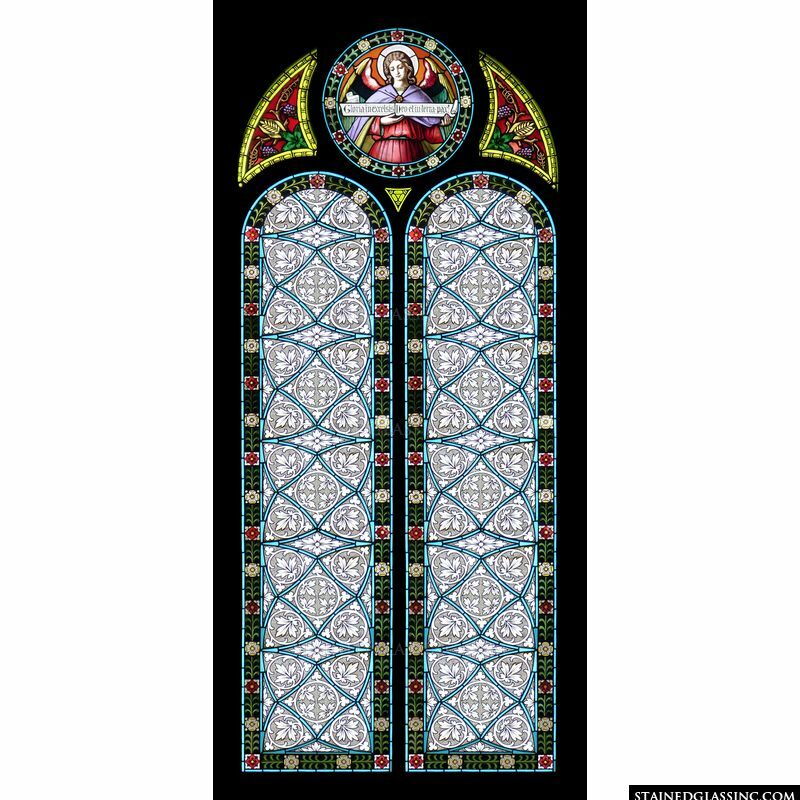 This vertical window is an example of stained glass art at its best. An intricate geometrical design of leaves and flowers woven into the two dome-shaped panels, offsets the angel in the circle above. The angel is wearing a scarlet robe and lilac cape, while holding a scroll bearing the Latin words "Gloria in excelsis Deo et in Terra Pax" written in calligraphy. Triangles on either side of the angel show bunches of grapes.